27b. The What is Manga Year 1 Subject Guide | What is Manga? 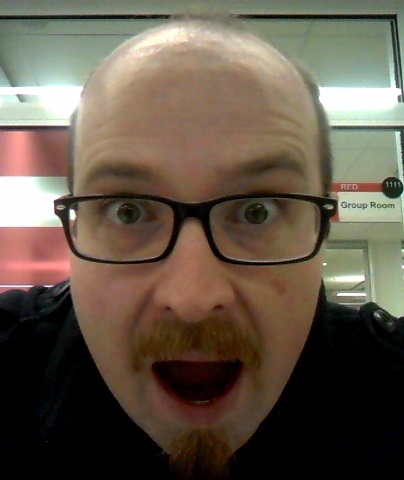 This middle-aged balding man can’t believe it’s been a year! As I was putting together today’s nuts and bolts post, so that newcomers to the WiM blog might navigate it more easily, I was taken aback by how much I’ve managed to cover over the past year and, incidentally, how many new things I learned in the process. What has also struck me is how many rather large topics I have yet to cover at all, which gives me great hope for a project that I honestly thought would get stalled after a few months. Anyway, without further ado, I’ve constellated my various posts under not terribly descriptive subject headings, so as to make it easier for you, dear reader, to cross reference related posts. For each section, I have also given a brief description of how the posts relate to each other, so you’re not just sitting there going “ummmmm….” the whole time. Whereas others have dealt with historical origins/contingency of forms that are otherwise though of simply existing without any temporal raison d’etre, as it were. 12. ARE YON-KOMA MANGA COMIC STRIPS? One of the more arcane and occasionally inexplicable aspects of comics in Japan is the rather explicit and yet sometimes trivial breakdown of the market into discrete gender/age categories. A number of posts have reflected on the construction of gender in particular, but even that only scratches the surface of what is incredibly arbitrary and yet profoundly meaningful for how manga are read and by whom. 16. WHO IS READING SHŌJO MANGA? My various first post concerned one of my own “black beasts,” the way in which mangaron (i.e. theories of what manga is) poach upon nihonjinron (i.e. theories of what constitutes the “Japanese” in racial terms). I have also dealt with how comic artists have either reinforced or undermined the idea that manga is something uniquely Japanese, whatever that means. Arguably my best posts, or at least the ones that I submit as representative of my best work for this blog, 14a-d below, fall under this category, because I have always been fascinated with the way people’s treatment of manga history and comics history more generally betrays their assumptions about a whole range of critical issues. So, while I would submit the possibility that ALL my posts touch on historiographic issues in some way, the following give a good sense of where I stand (the #14 series in particular). This is probably the category where my work has been the weakest, meaning I have only occasionally treated it, despite the political issues that attend to comics/manga are too numerous to list in one go. That said, Shirato’s politically oriented ninja manga as well as Tsurumi’s politically oriented comics criticism are worth thinking about at length. Translation is another category I have not treated sufficiently, especially since, for a non-Japanese-speaking readership, it is arguably the most important concern. Mecha, though nowadays more commonly associated with anime, is an important stream of manga throughout its history. Also, mecha manga are an important source for upsetting the critical truisms that have blossomed over the years in academic treatments of mecha anime. 24. IT CAME FROM THE… ARCHIVE? Though I would consider myself less tied in to fan communities now than, say, in my 20s, fans have always had a special place in my heart, even when frustrating, for they never piss me off the way academics can. Something I hope to do more of in the future is give at least a window into the range of manga criticism available within and outside Japanese discourses. Pretty self explanatory, how manga relate to education, in particular how manga reflect the socializing impulses of Japanese educational institutions. This will serve as a placeholder until I put up a regularly updated subject guide. Next week, we return to our regular programming with a look at two radically different ways to contextualize Morimoto Kozueko’s Gokusen. Well then, count me among your followers looking forward to what you’ll be covering in the next few months. Also, congrats for making it through year 1!